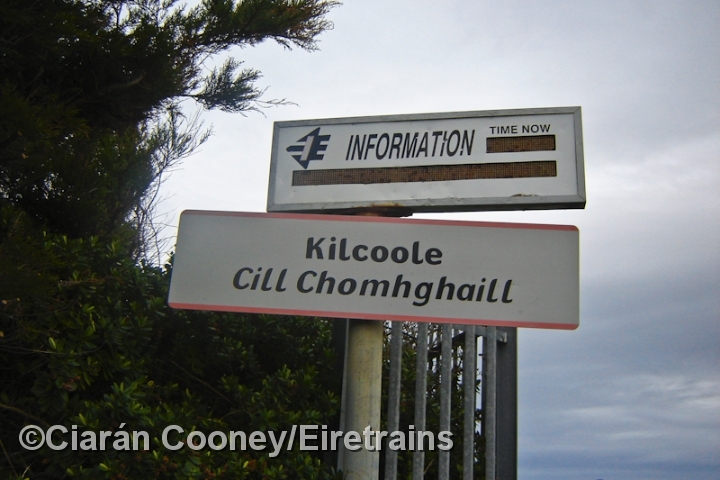 Kilcoole, Co.Wicklow, located literally on the coastline south of Greystones, was opened on the Dublin Wicklow & Wexford Railway's line in October 1850. 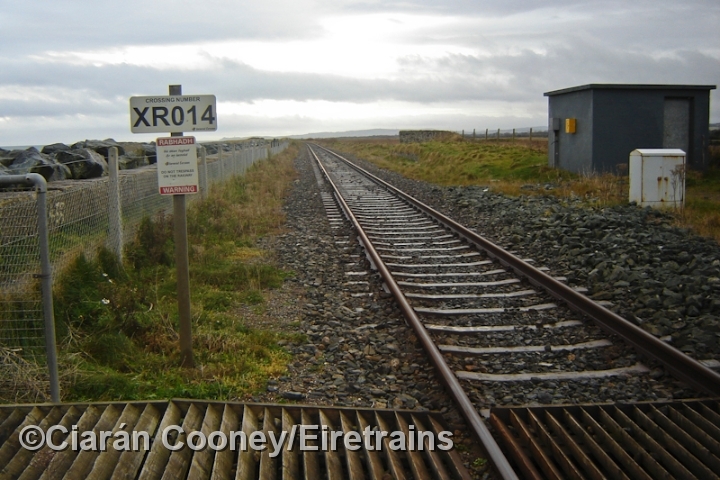 The station had a single platform, siding, cattle bank and goods store. 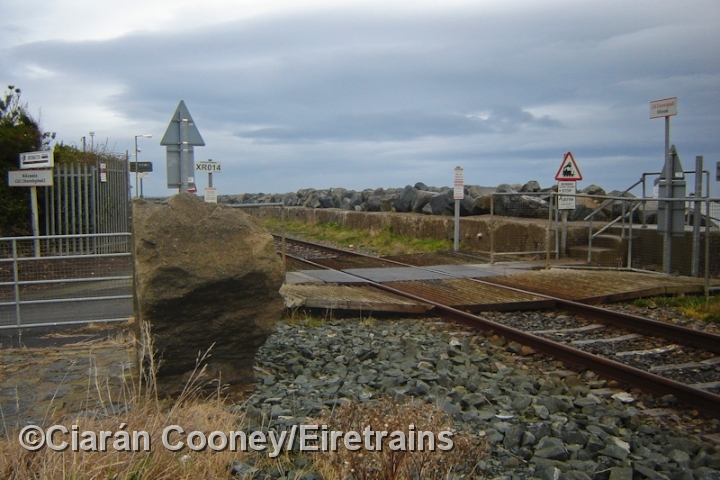 Reduced to halt under Greystones by the Great Southern Railway in 1930, the station was closed completely in April 1964, but was rebuilt and reopened in 1980 for suburban traffic. 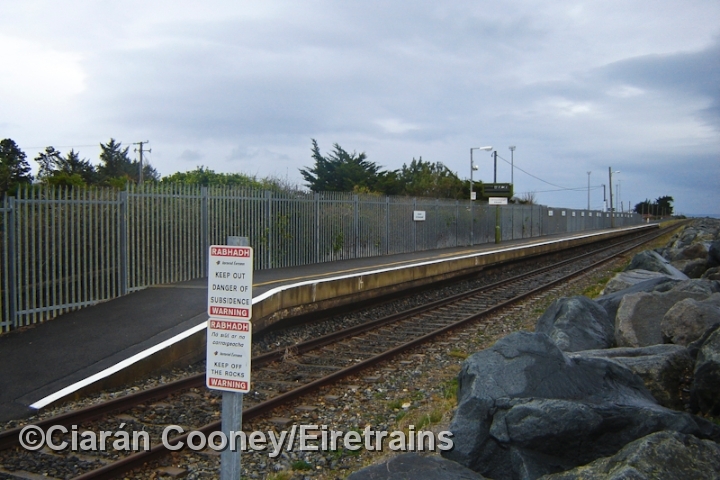 Only the end platform wall of the original station survives at the south end of the present day platform, along with a redundant concrete buffer stop. 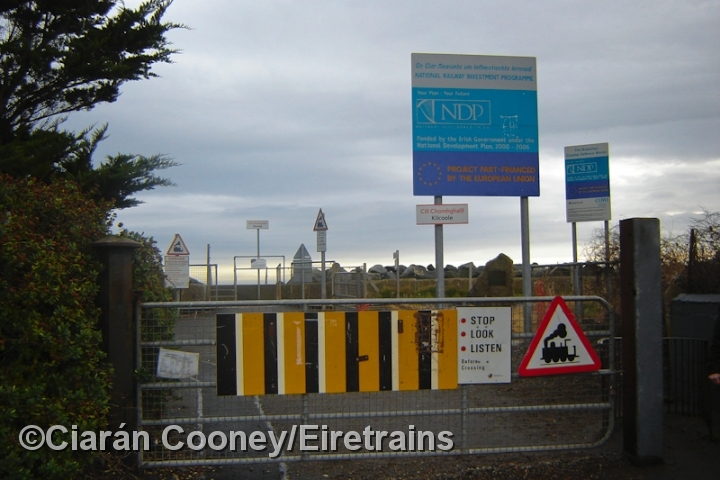 The station only has a sparse service with Gorey/Enniscorthy commuter trains.